They're working to emphasize modern marksmanship in fast-paced combat where civilians mingle with warfighters and Marines often must engage multiple moving targets in tight, urban settings. ... includes shoot/no-shoot scenarios, photo-realistic targets, shot placement, and firing from long to short ranges as if closing with the enemy. It tests a Marine's ability to neutralize multiple exposed threats. ... designed to incorporate more relevant combat skills into a "combat-centric" course of fire earlier in a Marine's training. ... So far, the feedback has been positive. Because the [training] forces individual shooters to choose the best shooting position whether kneeling, prone, standing or sitting to engage targets at various distances, "It lets that individual Marine understand his range and what position he is effective in at that range," said Chief Warrant Officer 5 Vincent Kyzer, the 1st Marine Division gunner. I think the military has a lot to learn from civilian practical shooting competitions. In many ways, we civvies have outpaced them, and Constitutionally, that is very good. My friend had a series of questions on my comments. I will designate his questions with "Q:", and my answers with "Backwoods:". Q: "Constitutionally, that is very good" ? Backwoods: Despite the grave danger the Founders foresaw in standing armies, they are now everywhere in America, in every state capitol, and in every city small and large. The strength, in arms and number of men, of the police forces and domestically-barracked troops would have horrified the Founders. 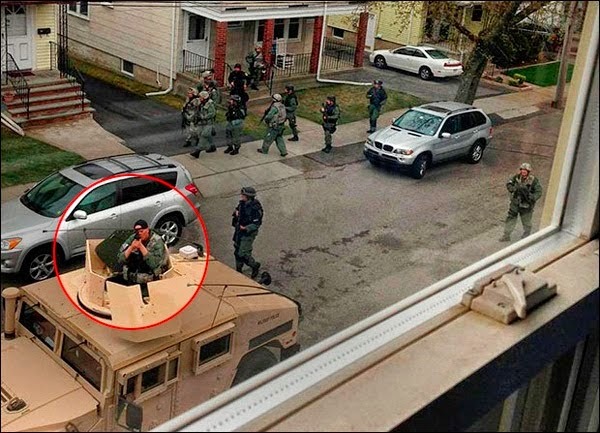 Webster's supposition is now completely turned on its head in most of America, especially in the large disarmed cities in so-called "blue" states: regular troops (military and police) are now better armed and more numerous than the general militia (the armed public). Q: So a weak military is good for the Republic? Backwoods: Weak internally, yes. So the Founders argued. Q: What's the difference between internal weakness and external weakness? Backwoods: The US military was originally conceived as an outward-facing organization, focused on the defense of the US, or the neutralizing of imminent external, national-level threats. It was never supposed to do the job of the militia. Recall the story about Jefferson sending the Marines to Tripoli to neutralize the threat of the Islamists who were attacking US-flagged ships on the high seas . (Sound familiar? They're back!) That's an example of the original intent. I support a strong US military--strongly defending the borders of the US and her citizens abroad. (We don't defend our borders anymore.) In keeping with the Founders militia ideal, I do not support a large military; their concept was a small-core military that in time of war would require the President federalizing individual militia units-- National Guard units for example-- to supplement their numbers and capabilities for a specific conflict. For each conflict the commanders should, ideally, have a well-defined victory in view. The military was not supposed to act on the American people themselves; to have them do so is a prelude to tyranny. The Founders knew it, but we ignored their warnings, to our peril. USNORTHCOM, a US military command designed to operate primarily in the US homeland, would be viewed by them as an abomination, despite their complaints of being limited by the Posse Comitatus Act. The Founders would also see a despicable standing army in the modern mechanized, jackbooted, SWATized police forces, local, state and Federal, including the latter's so-called "Department of Homeland Security". The latter is presumably the apparatus that then-candidate Obama was referring to when he expressed a desire for an armed force "just as powerful, just as strong, just as well-funded" as the US military. The only use of such a force is the advancement of a political agenda against a resistant population through the use of force. And indeed, there is a long history of the FBI and BATF tyranny: spying on citizens, attacking them for the political views, seizing their property, rousting and even killing them over so-called "weapons charges" that amount to the length of a block of wood. If you read the Federalist and Anti-Federalist papers, you'll see the militia discussed throughout. Their concept was the raising of temporary armies from a well-armed people, for specific purposes, such as the apprehension of dangerous criminals or gangs of criminals, the suppressing of insurrections, and other internal threats, including (by Constitutional sanction) the defense of a State's border with another country during an imminent threat of invasion that the Federals cannot immediately respond to. (You know, like Texas being invaded by drug lords on and off for the last thirty years.). Ever watch and old Western movie and hear talk of "raising a posse?" That's the militia. Those people might have been paid for that temporary duty, but they were supposed to already have weapons and ammunition on hand. They're supposed to be trained in the use of arms, and in small-unit tactics, too. (This used to be taught to the men of the general population.) You can't raise an army from among the people or resist tyranny if they are mostly a bunch of disarmed sheep; that's what the 2nd Amendment is all about. These militia armies were to do a specific duty, then return to their lives as civilians. They weren't to be professional soldiers like many of the police forces now are, because a professional soldier who gets used to projecting State-sanctioned force will eventually be asked impose the will of the State on citizens, a good working definition of tyranny. And it has happened here already. Some examples that come to mind are the Boston Lockdown of 2013, the FBI and ATF at Waco and Ruby Ridge, The Battle Of Athens TN, The Bonus Army, and the various Indian relocations, including the Cherokee Trail of Tears. 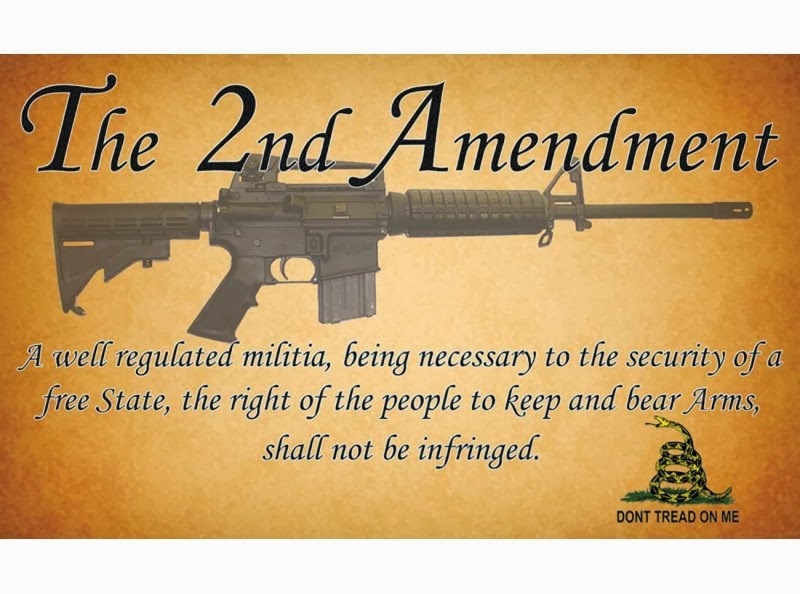 The resurgence in gun ownership, interest in the gun as an instrument of liberty, and a new emphasis in training and competition with firearms are all very encouraging indicators of potential for freedom in this Republic. I think modern IPSC, USPSA, and 3-gun competitors would do very well on militia duty, especially those familiar with rifles. Yes, government tyranny is encroaching in many areas of American life, but we are the only country in the world that has over 100 million armed citizens. That counts for a lot.